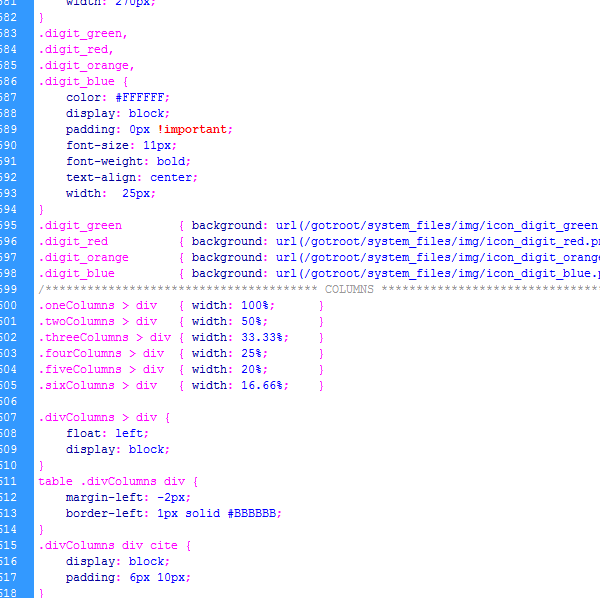 There is no such thing as a golden rule for organizing ones CSS file(s). In all the years of working as a frontend developer, I developed a organizing system that works for me. Maybe it works for you too? Put everything in one file, except for large portions of the site that need a lot of css code (like a file browser, complex styling of a gallery, etc), modular elements (such as a plugin file manager, e-mail modules, etc) and when you create a site that uses themes. So my sites always have at least 2 files in the CSS directory. One reset.css file and a main.css file. In this example there are 2 extra CSS files for forms and tables. The forms and tables used in this project are so complex it was beter to seperate them from the main file so that one didn't grow to big. Most projects get an extra print.css file somewhere near completion. 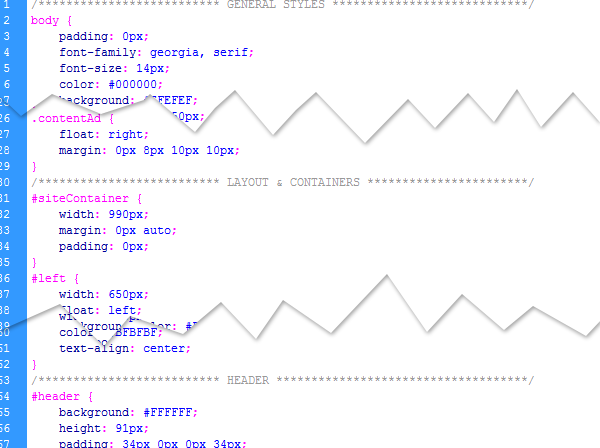 The most important part of organizing the CSS files is in the main CSS file. There I use comment lines to create "sections" and group certain declarations. The order of these sections is important too. I try to order them in a way that they reflect the document order (head > body > footer) and in order of "importance" (body > general styles > content > code formatting). And at last there is the everlasting discussion on single- and multiline coding. Also there is nog golden rule, and none is "the best". Singleline is faster, but more difficult to read. Multiline is slower, but reads easier. At first there is the common styling for .digit_green, .digit_red, .digit_orange and .digit_blue and the next few lines define the background images (icons) that are different for each style. I was loonkig everywhere and this popped up like nothing!